WHAT ARE THE ALUMNI UP TO? KAYLEIGH LLEWLLEYN Her original series, IN MY SKIN, is now available on BBC Three. THE ABERYSTWYTH 5, (co-written with Matthew Barry) received a script commission from Channel 4. Kayleigh's credits include Stella, The Dumping Ground and Casualty. She wrote and performs in a sketch (produced by Rocliffe) featured on White House Website as part of an Obama online campaign on stopping sexual violence in colleges. MARK ECCLESTON signed with United.NAQQASH KHALID won the Young Filmmaker Award at the Starbust Film Festival. SAMUEL JEFFERSON signed by Curtis Brown and working ITV. STEVEN LALLY has TV Series with 11th Hour Films/BBC. NICHOLAS GIBBS with Dench Arnold. ED WILES wrote/directed Dropperz for ITV2. JOANNE LAU on BBC New Talent Hotlist. MARKO FUCH shortlisted for C4 Coming up and TV Drama optioned by Baby Fox Productions. BRONA C TITLEY Head writer on new Channel 4 pilot Next Week’s News with Deborah Frances White. Writing on 'Tracey Breaks The News' and currently writing new cartoon comedy for Nickelodeon. STUART THOMSON Has BBC3 commissions. Feature is in prep, with two sitcoms optioned and in development. HENRY DALTON & PAUL COPE Work bought by Warner Bros, MTV, Ben Stiller’s Red Hour Productions; writing animated series for Tiger Aspect with Jeff ‘Swampy’ Marsh (Emmy-winning creator of Phineas and Ferb). When three best friends - one tarnished LA It Girl, a Crocs-wearing mum and her nine-year-old son - embark on a hen do to Ibiza, unlikely lessons are learnt. 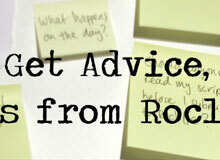 "The best advice I was given was: don't be afraid to throw away your best line. Behind that rather short and brutal sentence is the wider message not to be too precious with your work. It freed me up when I started out and it frees me up now." GIRLS Showrunner & Exec Producer Jenni Konners with Matt Barry, Kayleigh LLewelyn, Sara Courtauld & Nicolas Small. Matt & Kayleigh are writing on Stella, Sara is working on the new Wombles series. "Appearing at BAFTA Rocliffe led to the film being optioned and to signing with a literary agent. You'll get few better chances of meeting people who may wish to collaborate with you in the future." "At the beginning, go for areas where your voice has the most chance of being left in your produced work and not gently edited out. Fringe theatre, review, radio, places where production is cheap enough and edgy enough for them not to be afraid of trying something new. Remember it is your voice, and not an imitation of someone else's, that will make things work for you, if they're ever going to. Send your script to your buddies to read, ask them to mark the script EACH time they get bored." "If you've had an idea that you've been mulling over for a while, there is no time like the present to start writing it. We wrote and compiled our BAFTA Rocliffe submission in the space of a week, and since winning it has quite literally changed our lives. Where there's a will, there's a way - pick up your pen and paper and get cracking!" "As a live event BAFTA Rocliffe is nerve wracking, exposing and exhilarating in a way cinema rarely is. There is no hiding place. You can't charm an audience except with really engaging work." Celebrating 19 Years of Making Films, Connecting Established Industry to Emerging Writing & Filmmaking Talent. BAFTA Nominated film THE PARTY was a Rocliffe developed project directed by Andrea Harkin and written by Conor MacNeill. Rocliffe in partnership with BAFTA, runs the BAFTA Rocliffe New Writing Competition & Showcase, an initiative which has connected scores of aspiring British writers and filmmakers with agents, development executives and established industry members such as Lone Scherfig, Amanda Posey, Adam Tandy, Kevin Cecil, Greg Daniels, Stephanie Laing, Andy Patterson, Olivia Hetreed, Paula Milne, Andy Harries, Sue Perkins, Jenni Konner, Christine Langan, Mike Newell, Julian Fellowes, Phil Rosenthal, Elizabeth Karlsen, John Madden, Richard Eyre, David Morrissey and David Parfitt. Our Competitions are specific to each medium (TV, Film, Children's Media, Comedy) and distributed to the industry at large this programme making it the go-to source for new writing talent. Given that all our writers are selected anonymously this initiative is about the voice of the writer - not their age, experience, race or gender. Film advice? Budget advice? Sales Consultancy Advice? Script report? Career advice? We've either written about it or know someone who can help. 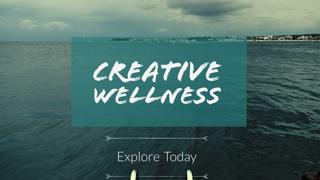 The creative wellness workout gives you practical ways to rediscover play and explore your inner creativity. The day is built to reboot and reactivate your imagination. Book a Consultant - essential to a filmamker's progress.